If you’re like me, email is a serious part of your life. Often times you open your gMail inbox to send an email.. but once you get in there, you immediately start reading and replying to your latest emails… and often times FORGET why you opened your email in the first place. This happen to me several times when communicating with the people behind this website. SO – I figured out how to compose and send an email without opening and seeing your gMail inbox (the no-inbox approach)… Here is how it’s done…. Step 1: Add this URL to your bookmark bar.. Step 2: When you want to send an email without opening your inbox… open that bookmark. Done… and the best part is that since you’re logged into your Google account – it still drops down the names of people you’ve emailed and are in your contacts list.. AWESOME! Hope this helps.. I know it makes my life a lot easier. I get it, you want to play youtube videos and do other things on your iPhone. Ever time you start a youtube music video and try to do something else, it stops playing. Very annoying. 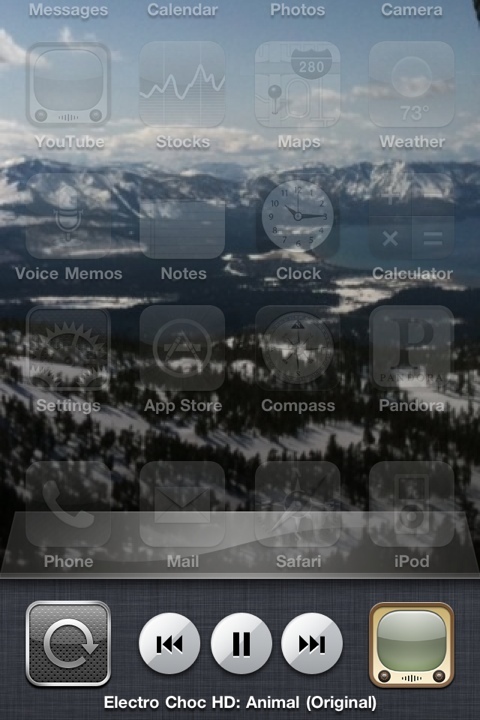 This is how to play youtube videos in the background while you multitask on your iPhone. 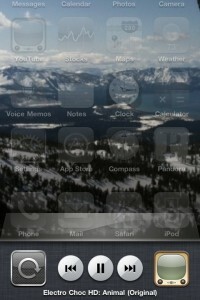 Learn more about iOS4 features here. Here is a step by step guide to playing a youtube video while doing other things on your iPhone. The youtube video will play in the background much like the iPod app or Pandora app plays in the background while you text, use the maps, check out your calendar or the weather. MULTITASK! – go text, map, whatever your heart desires! Yet Another Way To Multitask YouTube Music Videos! Unlock your iPhone and MULTITASK – since you locked your iPhone from the home screen, you return to the home screen with the youtube video playing in the background and you’re free to do whatever you want! That’s all there is to it – play youtube in the background on your iPhone by following those easy steps above! Hey, did you know your can play snake on youtube videos? If this helped you – let me know in the comment box below! That’s right – you can play snake on YouTube videos! You know that Snake game, where you have to control the snake with the up, down, left, and right arrows to try to eat as many dots as possible without crashing into a wall or your own snake body. Want to know how to play snake on YouTube videos? Play Snake On Any YouTube Video! then quickly press the up arrow. Do those steps relatively quickly, except for hold the left arrow for a half second before pressing up the up arrow. If it doesn’t work the first time, keep trying until it does. I’ve been able to get it to play on every YouTube video I’ve tried so far. So that’s it! That’s what you press to play snake on YouTube! I haven’t played for that long since I’m at work and playing snake is like the ultimate productivity killer — so I’m not sure if there is an END to the game… I’m not sure if you can “win” … so if you win a prize or something, please let me know. Also, this is a relatively hard game of snake! Since the YouTube video is playing while you’re trying to play snake – it is a lot harder to concentrate. Not only that, but it’s more difficult to see the next ball you’re trying to “eat”. And even furthermore, the snake extends by like 5 dots every time you eat 1 dot… other games of snake extend on a 1:1 ratio — this one is accelerated! Business. What do you think of when you hear that word? They surveyed over a million employees and found that every employee is different and should be treated as such – but they all need great managers. Which lead them to ask the second question listed above. First off, why do you want to be a better manager? The answer should be along the lines of “I want to know about each individual’s strengths, weaknesses, and personalities so that I can provide them a better workplace. I want my team to be focused, productive, and to grow with my company. Sound like your “why”? Read on… otherwise, what is your “why”? Even though every employee (I like to think of them as team members) is different – you can still gain insight into how they feel about their job. The book “First, Break All The Rules” talks about the evolution of what an employee needs from their workplace. You don’t just climb a mountain all at once .. instead, you have to make stops at different “camps”. That basically translate to “you don’t become a CEO in one day” (or at least, that’s what I gather). As a manager, you want to make sure your employees are happy at their respective levels. You can’t get to camp #2 which is half way up the mountain without first stopping at camp #1, right? Check out this employee survey (let it be known, these questions were modified a little bit to be more “fun”.. they used to be dry and the answers were the standard 1-5, 1=strongly disagree and 5=strongly agree .. I made the answers a little more fun). The questions are broken down into sections (denoted by a dotted line). The first section is “base camp”, second is camp #1, then camp #2, and camp #3. If you answer positively to all 12 questions, you’ve reached the summit (so to speak). We are a fairly new company, so everyone is pretty much at “base camp”. Therefore, I want to make sure that everyone gave the top answer to the first 2 questions before looking at theresponses for the next 10. I gave this survey to all our employees and learned that what I thought about each team member was wrong (and exactly opposite). Looking at just the first two questions… The employees who I thought knew what was expected of them and had all the materials they need actually didn’t (and vice versa). Taking it from there is up to you because every business and every employee is different. I highly recommend the book “First, Break All The Rules” – and there are plenty of other books that can help you become a better manager. From Malcolm Gladwell’s book “Drive”, we learn that purpose is the most motivating factor which “drives” us to do what we do every day. It used to be biological forces, such as the need for food & water, and money (or other monetary rewards) were the cornerstone of motivation tactics. But if you think about it .. well, actually think about it.. WHY are you reading this right now? WHY do you go to work? WHY!? You might find that you did something for a friend just because it gave you purpose. That is, you didn’t get any food, water, or money, but you did it because it gave you a purpose. You can give purpose in many different ways, such as having a company mission or telling employees why they are doing what they are doing. This is somewhat obvious, but works like a charm. People like feedback, they like to grow, and they need to know what they are doing wrong (and right) so they can change. If you think someone is going to change their ways without any intervention, think again (refer to Newtons first law). Have quarterly (or bi-annual) reviews with your people – look up “how to conduct an employee review” in Google to get some tips. That’s all for now – I hope this helps. Leave your feedback below.